What? How cool is this? 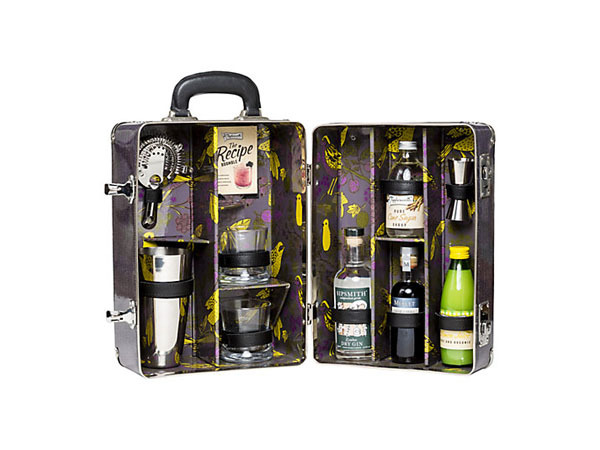 The bramble cocktail case from Tipplesworth holds just about everything you need to make the perfect bramble. That is, everything from the Sipsmith London Dry Gin to the Merlet crème de mure, down to the Tipplesworth sugar syrup and lemon juice. Of course, you’re not being short changed on the equipment either as it includes a shaker, strainer, measure and tumblers. You’ll need some ice and a handy bar man of course but you’ve got a recipe to hand too. Priced at £185.